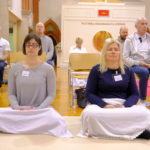 For a number of years on a Tuesday night at the Temple in Brushfield Way Woking there has been held a beginners class for the teaching of Meditation. Subsequently from this six months ago an Intermediate course was started for Meditation and also to learn a basic knowledge of Buddhism. 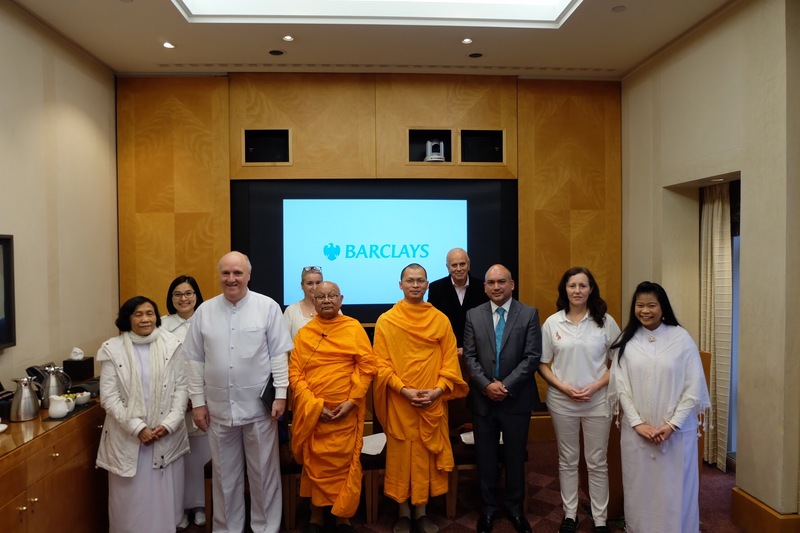 Some of the members from these classes with the aid of The Monks and Staff of the Temple have formed a Buddhist Association. 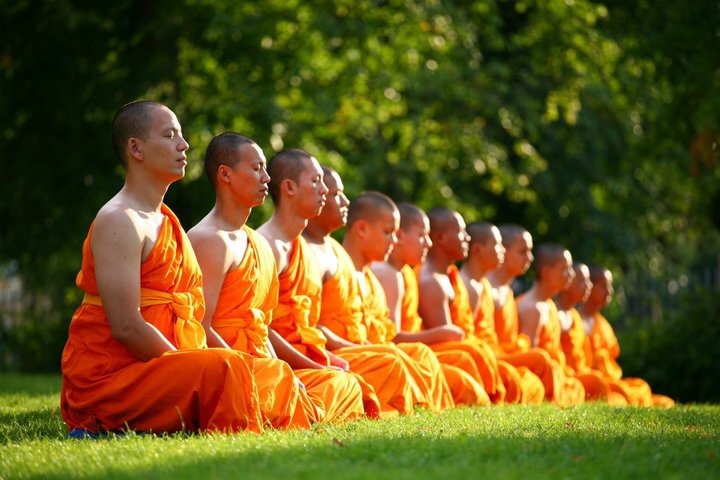 This is to learn from within its membership and outside some of the many facets of Buddhism. 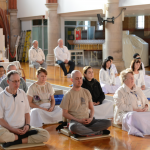 This may be how to breathe properly, the basics of Yoga, how to help you be mindful, aware of thoughts and actions, help develop wisdom and understanding, visit other Temples and Guest Speakers. We welcome all to join us ——- to teach or learn. We held a Basic Meditaion Class for local people today, the teaching monk gave us valuable advice on techniques of how to prepare your mind before beginning meditation. To achieve this, we start by letting our mind relax, making it free from worries and releasing it from any responsibilities you may have in your life which are bothering you. The teaching monk then guided the meditation session for 45 minutes. After the session was complete, he gave us advice on how to improve the balance of our mind by living our daily lives in a more modest, simple way. He gave an exammple of how many people can benefit by refraining from material possesions in this modern world. 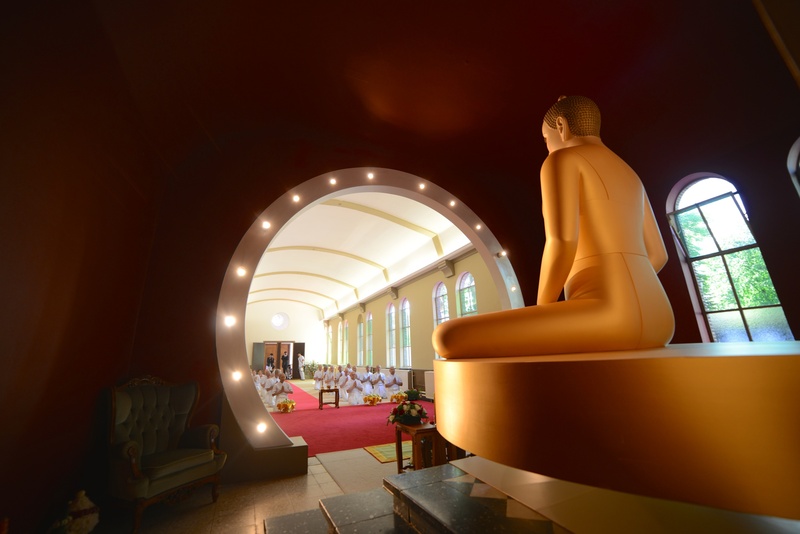 The teaching monk also showed us the results of meditation experiences which were recorded from people all over the world as an inspiration for us to practise meditation and benefit from it. keen to learn more and is looking forward to the next session. New Year and was invited to give a new year blessing speech at Fo Guang Shan Temple in London. 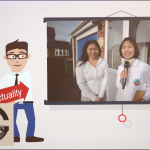 We have had some productive discussions on how to effectively build up a team of volunteers for the temple and develop things for the better. We received many valuable tips and much inspiration from this meeting. hosted by Khun Wan and Khun Wat at the Chok Dee Thai restaurant in Bournemouth. May these merits bring you all prosperity in every aspect of your life, business and Dhamma. Wishing you all happiness and good luck for this year and beyond. 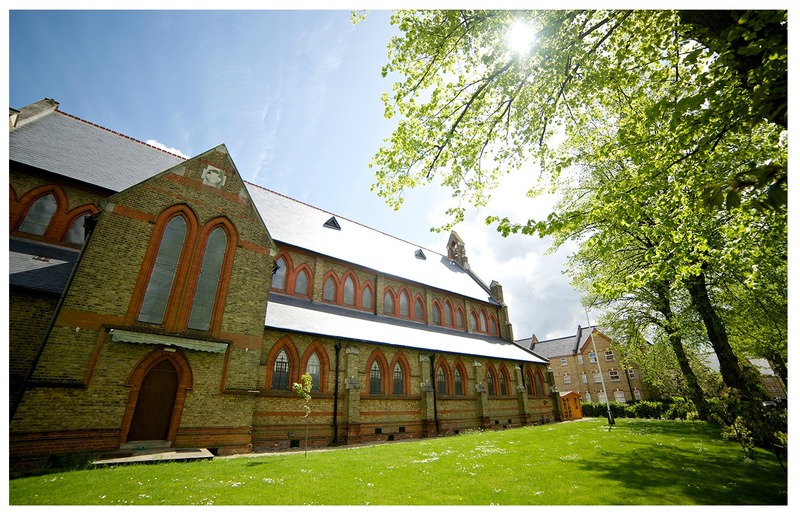 We would like to invite those who like to get ordained here in Europe join our EU Ordination program that will be organized from May 14, 2017 until June 4, 2017. Please note that the dates for the next-year ordinationprogram have been confirmed: the 2017 program will run from 14 May until 4 June. We have had to move the program a little earlier, because the vassa starts early next year. You will notice that the program runs for three weeks, and we’d encourage everyone to join the full three weeks for your full benefit. Today, two monks and members of staff from the Dhammakaya temple paid a visit to the Mayoress of Woking at her office and gave her a New Year present and blessings to wish her good luck for the new year. We discussed the upcoming activities for this year which will be held at the temple, as well as in the city of Woking. These events will be a great opportunity to spread the knowledge of meditation out to the local people and beyond. 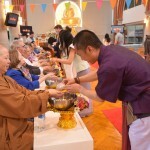 There will also be a Buddhist Alms-giving ceremony held in the near future. It was a wonderful day and we received a warm welcome. The meeting was very productive and combined with the warm atmosphere, it was an all round excellent day for everybody.